We already have at least twice as many realtors as we need, and now we are loading up with middlemen too – everybody wants a piece of the pie! There is an escrow company now that will input your listing into the MLS for $50, as long as they get the escrow! These guys think they have the magic mix – I’m still not sure what it is – but they are taking it nationwide. But they will find out that somebody needs to do the actual work! Thanks to Susie for sending in this article! Compass cofounder Ori Allon says real estate is one of the last sectors of the American economy that hasn’t been transformed by data and technology. He says when he talked to buyers, sellers, developers, and agents, everyone felt they were getting the short end of the stick. And when everyone feels like they are getting screwed, the market is probably inefficient. 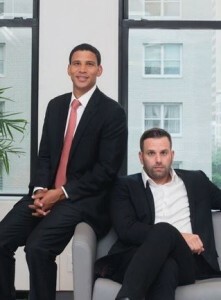 Launched in 2013, Compass (formerly Urban Compass), has already shaken up the real estate industry in New York and DC. Now it’s raised another $50 million to expand all over the United States. The funding raise, which was led by Institutional Venture Partners (IVP), brings total funding to $123 million and values the company at $800 million, according to a source familiar with the matter. Allon is a startup veteran, having already sold two companies — one to Google and one to Twitter. But Compass is far-and-away bigger than both combined. Compass helps people find neighborhoods and places to live — either renting or buying. And while there is a sleek interface on the user side, IVP General Partner Todd Chaffee says what really impressed the firm was the agent-side technology. This tech has attracted over 350 agents to the company already, with more of half of them in New York. Allon says what makes Compass special is that it can significantly reduce the amount of time it takes to find a home and it’s a cleaner experience than alternatives like Craigslist. Compass listings appear on a Google-like map, which also includes pictures of the homes. And if you want to see an apartment, you can schedule a viewing on Compass, which will put together an itinerary for you. Compass acts as a broker, and the service (including fees for the agent) totals 0-15% per completed rental deal. Fees are significantly less for homebuyers, and at 6% (taken on the seller side), are in line with most high end brokerage firms. Right off the bat, he mentions Commission Compression, and that he thinks 60% of the agents will soon be discounters. I totally agree, and would like to expand on that point. We’re not talking about the agent who shaves a half-point to bring a buyer and seller together. Instead, it’s those who are ‘buying the business’ – the agents who advertise their reduced commission rate to attract new clients. In the internet age (where you can get pretty much any product you want with a couple of clicks), the consumer’s investigation time tends to be much quicker – and less thorough, especially in the house-selling business that is loaded down with pre-conceived ideas about how it works. Will consumers be more thorough about investigating agents? They haven’t been, and it’s doubtful that will change now. Discounters could blame the consumers – people want a discounted rate! But regardless of the commission rate, agents have a fiduciary duty to the sellers to explain the whole picture. We already saw last week that the NBER guys think there is a conspiracy by other agents about not showing homes with discounted commissions. Not mentioned was whether those listings agents who openly advertise their discounts are despised by others in the industry. In the haste to hire an agent – or to get hired – the fiduciary duty to explain the benefits and burdens to the seller will likely get trampled. Maybe it’s my rose-colored glasses, but doesn’t it seem like every issue facing realtors can be solved with the auction format? Seems the RE industry is at a crossroads. Marketing or facilitating. One need only read the quote and see which way the wind has shifted. Houses are worth different prices to different people on different days. Employing a marketing strategy that exploits the initial urgency will produce the max value. P. S. If all agents offered all the same services, it would force consumers to examine the agent’s expertise and track record. Yesterday, a name and number was sent to me by an internet lead service. It doesn’t cost me anything to receive the leads – the internet-lead company gets a referral fee from the listing agent once the sale closes. I’m on the list more for amusement – I’ve never closed a sale from any internet-lead service. I always check the MLS to see if their house has been listed recently, and look for upgrades in the photos – because there could be a 10% swing in price. This property was an active listing, so I knew what was coming – the sellers weren’t getting enough action, so they blamed the agent (not their price). His current agent is an independent, so instead of having a frank conversation about the realities of the market and why his house isn’t selling, he jumps to the conclusion that he needs a big company to push the product. I mention that I can better expose his property using my video tours, but he wouldn’t have anything to do with it. He wants a big-name company. Period. This is why the large franchises exist. They know that sellers don’t have much experience with selling real estate, and the accompanying discomfort causes them to make snap decisions. Many people have been brainwashed by advertising, and feel more comfortable selecting a brand name, rather than investigate the choices. 1. Most are independents. According to NAR, the majority of realtors (57%) work for independent, non-franchised companies. If the realtors themselves don’t see the value in working with a franchised company, then why should the consumer? 2. Selling real estate is an individual sport, not a team sport. Sellers are hiring an agent to advise them how to sell for top dollar with minimal hassle. You want to believe that there is a ‘Company Way’ to sell houses and every one of their agents did it the same. But it’s not like that – we are independent contractors that all sell differently. Want proof? The only thing we have in common is the MLS – and look at how differently it is used by agents. Some include lousy or no photos, great or crappy remarks, etc. 3. Quality – The recent DANGER report concluded that ‘the No. 1 liability for the industry is its masses of “untrained, unethical and/or incompetent agents.”’ These agents work at every company (franchise and independent), and sellers are misguided to think that if they call a brand-name company, they will automatically get a competent professional. Inexperienced agents typically usually learn at a big franchise office, then go out on their own once they are experienced – which would make you think that hiring an independent agent would make it more likely to get an experienced agent. 4. Reputation – Have you ever had a bad experience with a brand-name company? This is why many agents prefer to be independent – the actions of other realtors in the office can have a negative impact on their own reputation. 5. Independent companies vs. independent realtors. Once you are open to hiring an independent, then break it down further. A big independent brokerage has some of the same problems as a big franchise. Ideally you want to hire a guy whose name is on the door – he has the most riding on every detail of the transaction. This isn’t a knock on franchise offices themselves – there are good and bad agents everywhere you go. It’s the industry itself that prefers to mask the competency of the agents. Have you noticed how few realtor blogs there are? Why is that? It’s because agents don’t want to be scrutinized, and their employers don’t want to be either. They prefer to hide behind big names and imagery where the consumer has little idea what they are actually getting – until it is too late. Dear Brokers, as you may know, the relationship between Zillow and ListHub ends on Tuesday April 7th. If your listings are going to Zillow by some means other than ListHub, this does not affect you. However, if you have been using ListHub, your listings will no longer be going to Zillow on the 7th. 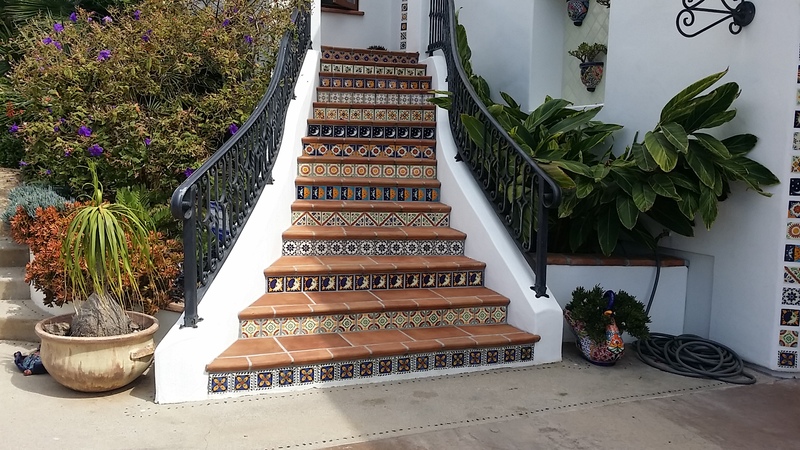 Sandicor has been in the process of implementing a replacement syndication system and negotiating an agreement with Zillow that would offer substantial benefits and protections for you and your listings along with protections for Sandicor, in the event you elected to send your listings to Zillow. While our syndication system is being put into production, our negotiations with Zillow have not resulted with an acceptable agreement between us. Please know that the terms of the agreement were developed by a fifteen member Broker Group, representing a wide variety of brokers, from a 2 person office to our largest brokerages. All were unanimous in the terms developed, which included protections for the listing data, brokers / agents and Sandicor. The terms are very similar to other licensing agreements we have with IDX vendors and other vendors. Unfortunately Zillow was not agreeable to those terms and appeared to be unwilling to consider much beyond their terms. We revised the agreement such that we felt we addressed some of Zillow’s issues, at which point we were told they didn’t have the legal resources available to discuss it any further. We then tried to negotiate an interim agreement, which also was not successful. While Zillow does not have the resources to negotiate with us at this time, we have not given up and will endeavor to work on an agreement that is acceptable to all parties. While our 15-member team probably believes that Zillow will come around as soon as they can drum up a few more lawyers, the tone has already been set. All that has to happen is for Zillow to hold out, and either our negotiators will cave and allow them to pimp our listings however they feel necessary, or we will be forced to manually input the listings onto Zillow – where Z will pimp our listings. Either way, they will pimp our listings. Zillow owns us now, and this is the MLS death march. The MLS only provides a basic product for agents to use, while Zillow builds a dynamic, engaging product for consumers. There is no impetus for change – those who control the MLS don’t see a need to compete with Zillow. Realtor.com is supposed to be competing, but they haven’t done much yet. Who cares? The realtors who don’t have listings should care. They are the ones who will get squeezed out slowly, as Zillow helps to convert the industry to single agency. Though I speculate in this video that buyer agents will get phased out, it’s not the best alternative – buyers should have representation, it is just a matter of cost/quality. In this futuristic scenario, the listing agent will only be representing the seller, and will likely want to process your order at the seller’s price. Buyers may prefer to get their own representation. There will likely be real estate consultants available to assist buyers with pricing, and to help address the major deal points. If you were buying, would you be willing to pay for good help? 1. They have launched their transaction management business in San Diego. But they’ve been having trouble with their website this week, and you have to register just to take a look. With Zillow and others giving you free and anonymous access, consumers expect to roam around before committing their email address. Specifically, buyers and sellers will want to see the homes-for-sale inventory. 2. Timing is everything. If they could have caught the early frenzy when there wasn’t as much scrutiny of pricing, consumers would have been more willing to take a chance on a new-fangled system. People will still be curious, but pricing is the issue with all for-sale-by-owners. They aren’t as motivated, and without any guidance, they will price high. But buyers today don’t know if prices are going up or down, and they will want to be conservative about price – creating a significant gap from the start. The chances of buyers and sellers coming together on price today – even with an agent – aren’t that good. 3. Her first pitch is for participants to save the commission. But only one party can save the commission, not both. For sellers to save the commission, their price has to be so attractive that buyers pay the full price. 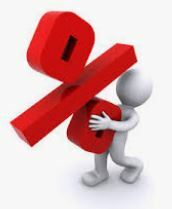 But buyers want to save the commission too, so they subtract 6% from the seller’s price just to get started. 4. She dwells on the fact that her service is free to get around RESPA. Two points: A) They are appealing to the money-savers, who aren’t going to tolerate paying higher fees for the other services provided. B) When a customer has a problem or concern, and they can’t get help from her – who is going to make the deal? 5. She does concede that consumers may need an agent, and if so, they can find one and work out a pay structure on the side. But she is missing the big game-changer that a new-fangled company could provide: realtor help if/when needed, at a reasonable cost. Consumers don’t mind paying a reasonable fee to get adequate help, and if she just provided that one last step she might pull it off. But instead, she chides the industry with her snarky comments like she is a ‘recovering realtor’, which alienates realtors everywhere. 6. She said that she was a realtor for ten years, but the BRE says that she obtained her California real estate salesperson’s license in 2007 – who knows, maybe she had a license in another state? According to the San Diego MLS, she has sold 40 homes in her life, which means she hasn’t handled a big sales pipeline. A company built on skimming fees needs to generate a large volume of sales, and they are trusting that a computer can do the job that they have never done themselves. 7. The ‘scorched-earth’ mentality means game-on. Note that she wouldn’t name the title and escrow company yet – why? Because that title and escrow company already has a book of business with traditional realtors, and they are probably concerned about alienating them. The mortgage company, Prime Lending, is crazy to think that being associated with this effort won’t affect their normal realtor business, and likewise for whoever the other affiliates are. Other attempts to disintermediate the real estate business have stumbled. The old IPayOne was probably the best combination, because they did provide realtor help when needed but they skimped on quality and eventually closed down. Redfin has been around for years now; has name recognition, a great website, discounted commissions, and 44 team members in SD – yet according to the MLS, they only have a 1.6% market share this year. Why? Because the consumers’ perception of realtors tells them to go with someone else 98.4% of the time. The company that will bust the real estate cartel is the one that provides great-quality help for less cost. But if that happened, traditional realtors could adjust their commissions accordingly, and then it’s a nothing-burger.